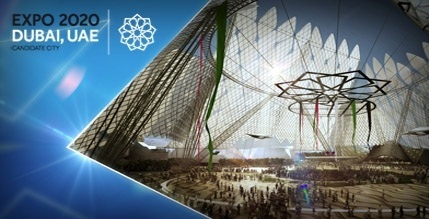 DUBAI- The Ajman Department of Economic Development (DED) confirmed its “continuing support” to the UAE and Dubai’s Expo 2020 bid in a press release on September 18, 2013. The Ajman DED stated that the Expo would “support the country’s efforts” in developing the business environment and attracting investment. Dubai is currently bidding to host the Expo 2020 against three other cities Izmir in Turkey, Sao Paulo in Brazil, and Yekaterinburg in Russia. The winning bid is expected to be announced later this year. “Expo 2020 is expected to boost economic growth across the country and contribute to sustainable development in the years after the event,” Ajman DED stated. The Ajman DED stated that a successful Expo 2020 bid would solidify the UAE’s position in the global community in its ability to host the event by investment qualifications and its potential projects. HE Mahmoud Khalil Al Hashemi, The Acting General Director of the Department of Economic Development, stated that the department will promote and market the event through a variety of activities and events. The Ajman DED emphasized the “strong and sophisticated infrastructure” in Dubai, stating that the emirates experience in hosting global events showed that it was eligible to host Expo 2020. The site for World Expo Dubai 2020 will be Dubai Trade Centre Jebel Ali: a 438-hectare site on the southwestern edge of Dubai. Equidistant from Abu Dhabi and Dubai, the site is located next to the new Al Maktoum International Airport, which will be able to carry 160 million passengers a year, and will be connected with a new high-speed train to Dubai International Airport. The Dubai Trade Centre Jebel Ali will also connect with the existing Dubai Metro system and the proposed Etihad Rail Network. Well before the invention of the written word, printing and now the Internet, it is the human mind that has shaped society through discussion, debate and ultimately decision making. While technology makes the modern world possible, it is still people’s decision-making abilities that shape life today and tomorrow. Each individual human mind is a powerful tool, but it is when minds connect that real change takes place. This is played out at every level of society, from the family unit, through to friendships, to how people dwell and connect in towns and cities, right through to the identity and culture of a nation. And while human success presents immense challenges across the coming centuries, it is human imagination and creativity that remains the best hope for progress and peaceful co-existence in the generations to come. Ekaterinburg is planning to develop sustainably a 400-plus hectare Expo venue, which would be the second largest site in Expo history behind Shanghai Expo 2010. 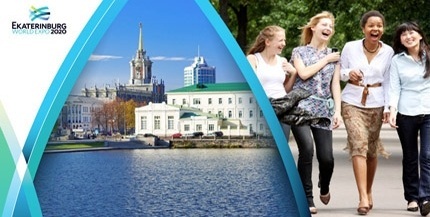 The Global Mind theme for Ekaterinburg’s Expo will survey world opinion through seven universal questions with the goal of communicating the values, hopes, dreams and aspirations of people from every culture and nation across the world in a single discussion. 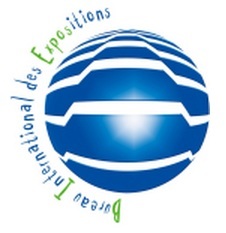 Each participating nation would develop an exhibition, presenting its historical narrative and expressing its value, unfolding in a six-part experience, including – The story of our nation; Voice of vision, Lives of inspiration; Times of transformation; Points of conflict, points of peace; The mind – unlimited; and Future opinion. The concept will be to take the theme of urban sustainability, which has been at the heart of recent Expos, and bring it to the global stage. The Expo will be the platform from which to compile a new comprehensive world history based on the individual narratives of each nation, offering educators everywhere a new intellectual consensus on the history of civilization. The site has a feasible location, enabling a smooth transportation plan for the Expo. With its inspiriting setting and easily accessible landmark location, the site will not create a burden on the city. The key potentials of the site include integration to the urban context and rich city fabric with a high legacy and post-use potential. The site is in a beautiful waterfront location having a great long-term potential as a basis for new urban development serving the entire Izmir. The Expo will be hosted at the Pirituba Convention and Exhibition Center, located in the northwest of Sao Paulo. The exhibition site will cover an area of 502 hectares, the equivalent of four times of the size of Anhembi, currently the city’s largest exhibition center. Expo Sao Paulo site will include a conference center, an exhibition area, a shopping mall, hotels, facilities and services. Access to the site will be facilitated by its proximity to major transport connections, such as main roads and the city ring road. In addition, a new subway line will be constructed and new stations will be added. 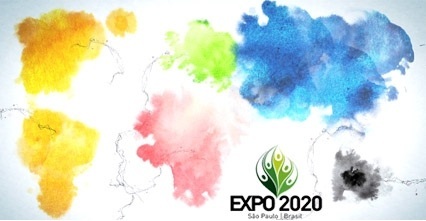 The theme of Sao Paulo EXPO 2020 will allow participating countries and cities, public institutions and private enterprises to showcase their best practices and projects. They will present innovative social and economic policies, environmental programs and forthcoming technologies, in areas such as transportation, energy use, ICT and urban thinking. The future lifestyles of new generations and the future of a world without borders will frame the debates and the events at Sao Paulo Expo 2020, laying the basis for an historic educational, cultural and political legacy to benefit the international community.